A man has been arrested in connection with the seizure of more than €3 million worth of drugs. The drugs were found in a van which was stopped in Kilbarrack, Dublin yesterday as part of an ongoing investigation by Revenue and the Garda National Drugs & Organised Crime Bureau. A number of packages were seized by Customs, which contained 30Kgs of MDMA and 20Kgs of Ketamine with an estimated value of €3,000,000.00. 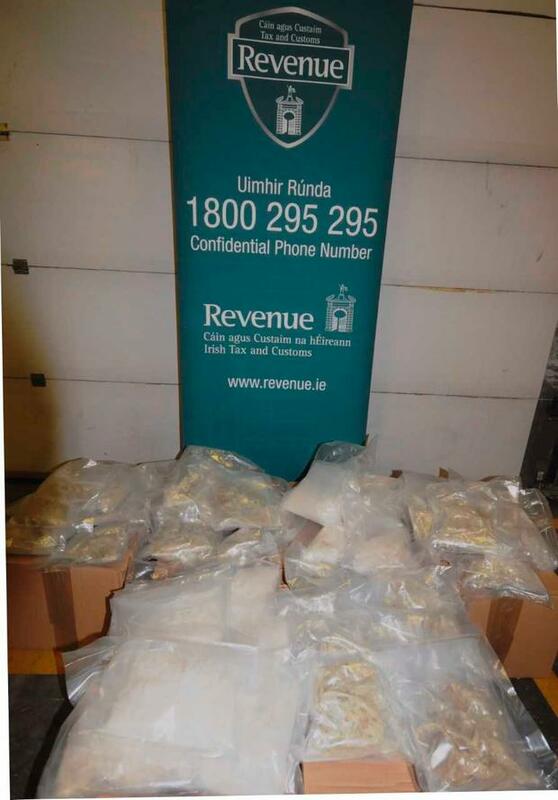 During a follow up search, 1Kg of Herbal Cannabis (€20,000) was seized at a house in the area. A man (43) was arrested at the scene, as part of the operation by Gardaí. He was held at Raheny Garda Station under the provisions of Section 2 of the Criminal Justice Drug Trafficking Act 1996.